Sacked former Chairman of the Pension Reform Task Team (PRTT), Abdulrasheed Maina, has revealed a shocking revelation that, about N5.32 billion was being stolen monthly in the office of the Head of Service (HoS) and Police Pension office alone. 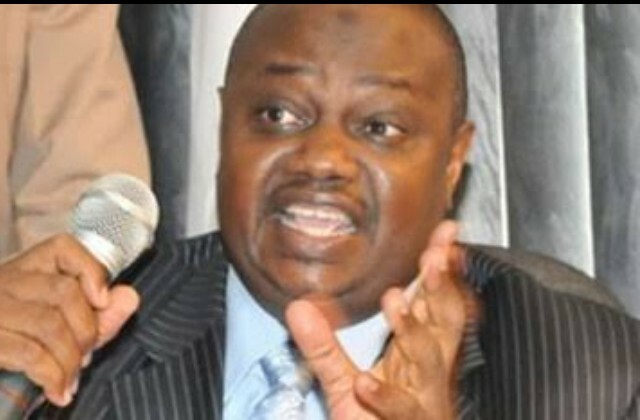 He said, his media trial and framed up allegations were part of efforts by ‘pension thieves’ to stop him from exposing them, which is why he urged President Muhammadu Buhari to thoroughly investigate pending pension petitions, especially as Senator Kabiru Gaya said in an interview that the N195 billion which he (Maina) was accused of stealing is in the TSA account. Speaking through his aide, Olajide Fashikun in Kaduna on Tuesday, Maina who has been on the run, said the presidential investigation is imperative to expose the real pension thieves, some of whom he alleged, are highly placed public office holders, adding that such will bring succour to starving pensioners. Maina, who said his Task Team saved the country about N282 billion from June 2010 when it was constituted, revealed that, the presidential investigation will also expose the sum of £6 million (about N3.3 billion) stashed in accounts in London and the top government functionaries in different offices who are drawing the interest on the accounts. According to him, “between the Head of Service and the Police Pension office, the two places PRTT worked, a leakage of N5.32 billion was stopped per month. This is what civil servants steal monthly in the two offices out of the 99 pension offices in the country. 43 persons were arrested and handed over to the EFCC to prosecute while 222 houses were seized from them. “In the current media trial where all manners of stories have been published, there has been a lot of distortion of facts and sometimes outright blackmail, all in an attempt to paint the PRTT boss black. As soon as Maina was driven to exile before the coming of the PTAD, N35 billion was stolen in the Head of Service. The ICPC did not come out with the report. How come no body is talking about these monies? Fashikun asked. “After the biometric exercise, there were 71,000 genuine workers in the police pension office who needed N826 million to pay them unlike N5.3 billion appropriated for them annually. They were pocketing N4.2billion yearly. They devised several ingenious ways to pull these cash out, they pull out an average of N300 million daily Monday to Friday. There are bank alerts to substantiate these assertions. “There is a particular person who has 69 cloned versions of his name on the payroll. Bank officials were in cohort. Names of dead pensioners were ‘exhumed’ from the dead and paid pension. Accounts were created with fictitious names. The agents who do the multiple collection of these monies from banks get 5% of the volume collected. One of the folks caught then by name Haruna Maigida was paid via three accounts in June 2011 the sums of N7,783,891.68, N17,452,910.87 and N17,293,888.44. He confessed when the EFCC officials arrested him that he got 5% for pulling the cash. Speaking further, Maina’s aide stressed “there has been a lot of deliberate cover in a well written script to give Maina a bad name. Some of those who worked in the PRTT committee do ‘kabu-kabu’ to augment their survival. They were severely starved of funds, Maina’s PRTT was a clog in the wheel of so many who were looting the pensioner’s funds. “Maina’s PRTT was brought in to sanitise a very corrupt pension system. It was the success of his pension system in the Ministry of Interior that brought him to the PRTT. Emerging evidence has shown that Maina is just a victim of corruption fighting back. “The then Senate Committee in a bid to crucify Maina did the hatchet job, when they told the Nigerians that, he stole N195 billion. Meanwhile, on 13th April 2016, former Kano Governor, Senator Kabiru Gaya, told The Sun Newspaper in an interview that the money was never missing. So, why is he being tried for the money that is now confirmed not missing? According to the structure of the task force, Maina like none of them therein never had access to the pension fund and could never have taken one Naira lest over N2 billion. “Former finance minister, Ngozi Okonjo-Iweala during a Senate meeting said that Maina had no contact with funds and revealed how she froze the account where the monies recovered by Maina’s committee was kept and how she transferred the funds to the CBN. So, why will the EFCC continue to hound a man for an offence which they know he is innocent of? Maina was only the head of the team which comprised of EFCC, ICPC, DSS, NIA, office of Accountant General, office of Auditor General, Public Complaints Commission etc. He was the only civilian in the Task Team”.